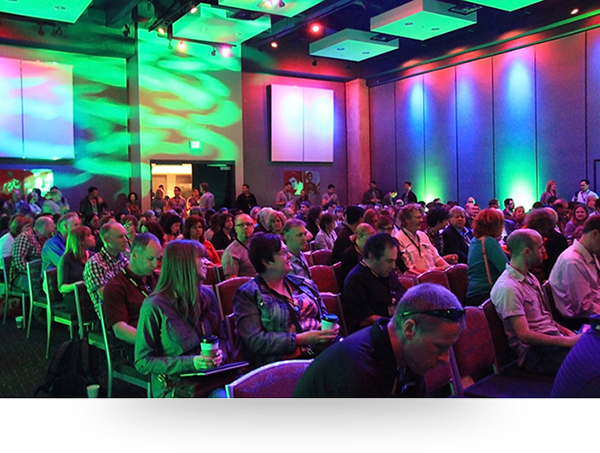 Pam Coca describes the MadWorld Conference held 7-9 April in San Diego, USA. 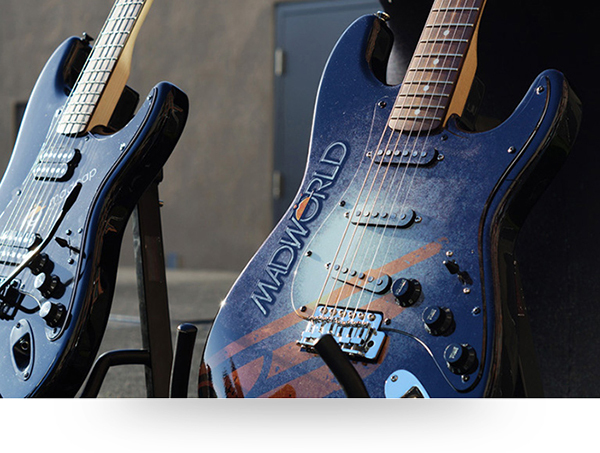 From the moment I entered San Diego's Hard Rock Hotel, it was obvious that MadWorld was going to be a truly unique event. 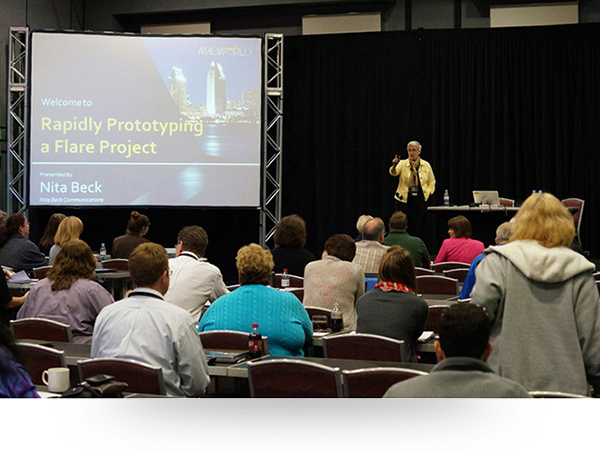 Hosted by American computer software firm, MadCap Software, Inc., that creates XML-based technical communication tools, this remarkable two-day learning conference for technical communicators had a lot to offer. MadCap Software derives a lot of its product enhancements from its users. The company listens, it acts, and its staff network. So of course, MadWorld was structured around some serious networking. Two-hundred attendees and dozens of MadCap personnel circulated throughout the hotel enjoying food, drink and shared knowledge. The guest rooms were large and comfortable with great views. The baths had double-head rain showers and a sign by the lavatory that read, The water you save could go in your Scotch.' Big screen televisions with built-in amplifiers were there to fulfill your musical needs. Like all good public establishments, the Hard Rock has a few secret weapons: one is an electric guitar delivered to your room at no charge so you can jam all night. At registration, attendees received lovely wax-sealed invites to a cocktail party at Float, the Hard Rock's rooftop nightclub. In this Hollywood/Rockstar setting, networkers joined together for appetizers, an open bar, and numerous chances to win their own propeller beanie. Monday morning: as a great start to a busy day, comedian Wayne Cotter had us rolling in the aisles. The fast turn-around times (50 minutes each) of the subsequent sessions provided information without any chance of boredom. From a proper English breakfast in the morning to coffee, tea and treats on networking breaks, to cocktail parties every evening...a new surprise was around every corner. Defined by knowledge level, the four classroom session tracks (basic, intermediate, advanced and tools agnostic) gave everyone a chance to easily select classes suitable to their needs. Presenters came from all over the world. Communicator readers are already familiar with some of them. Neil Perlin, a well-respected authority on mobile apps and mobile help enlightened the rest of us on the topic. He also gave a fun talk called What the Heck Does THIS Do? that encompassed variables, togglers, Mark of the Web and other obscure Flare features. Matthew Ellison wowed everyone with presentations on hyperlinks, global project linking, and Techniques for High Powered Single-sourcing with Flare. Nita Beck walked attendees step-by-step through a pilot project she did for a research library, demonstrating not just how to organise a massive project, but the importance of having a really good plan before you start. She also joined forces with Neil Perlin for an exciting presentation for technical communicators who might want to leave office politics behind and venture out on their own. Ellis Pratt pointed out that tablets have entered our world of technical communication and showed us the importance of using flow-based user assistance (UA) to keep users in the zone. Defining embedded user assistance as the UA that resides within the application interface', Tony Self displayed a wealth of knowledge on how it improves usability. His presentation, Any Colour…As long as it's black compared our profession to the automobile industry in that we need to work at keeping technical communication from becoming as obsolete as the Model T; re-use, repurpose and automate. Knowing that translation and localisation are in the forefront of technical communication today, Scott Bass showed the audience a complete translation process using Flare and Lingo, and Thomas Bro-Rasmussen walked an audience through Automating and managing multiple projects in a multilingual environment. There were sessions on DITA, APIs, SDKs, indexing, team authoring, and much more than can possibly be mentioned here. Visitors saw demos of Flare's new social media community, MadCap Pulse. They were introduced, in one way or another, to all the products in the MadCap suite and in some cases received in-depth training on the secrets within. 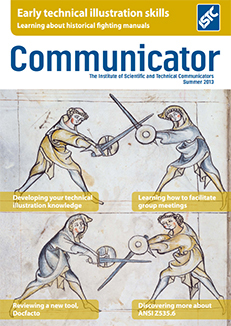 All-in-all, it was a chance for technical communicators to improve their skills and become more in tune with their users. 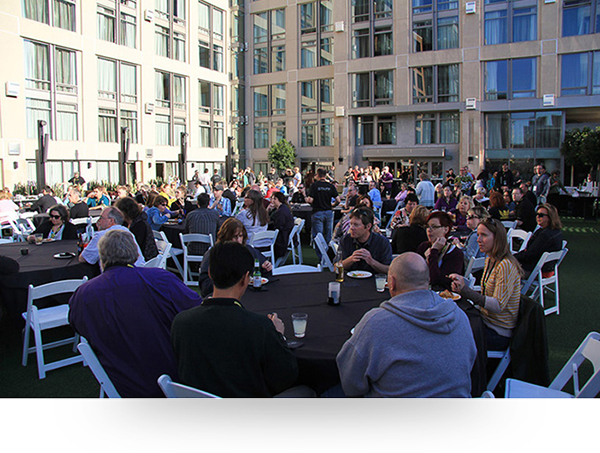 This four star event comprised 40 training sessions, 24 professional speakers and two-plus days of networking all housed in a classy, constantly rockin' hotel in sunny San Diego. Suffice to say, MadCap met its goal. Whether it is responding to an email, answering a phone call, or talking to you at an event, MadCap staff has a talent for making you feel like you are the only person that matters. If you aren't already hooked on Flare, a few minutes with their amazing support staff will change that. After all, the easier and faster you work, the more you accomplish. Pam Coca is an award-winning technical writer and documentation specialist. She is currently the documentation manager at Compressus Inc., USA.